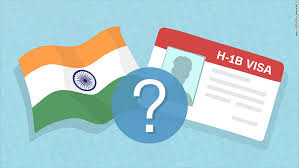 According to the report, only top India based companies received approval for 8,468 H-1B petitions for initial employment. 199,000 applications were filed in FY 2017 for approval for FY 2018 but according to the H1B limits 105,000 applications were in excess. As the report suggests “The data indicates the problem is not which companies are receiving H-1B visas, which some contend, but that the 85,000-annual limit is too low for an economy the size of the United States." As per the analysis of NFAP, this 43% drop in the H1B visas is due to industry trends towards digital services which require fewer workers and give an option to the companies to rely less on visas to enhance their workforce in the United States.